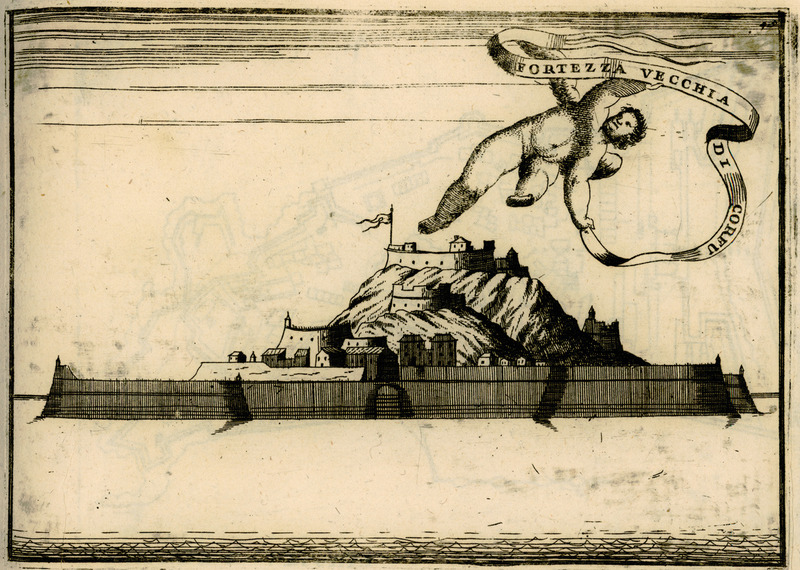 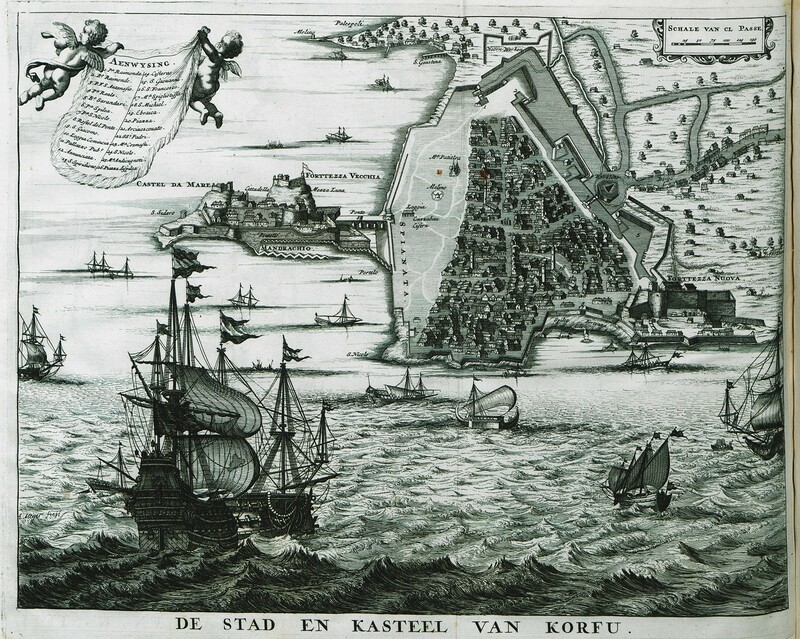 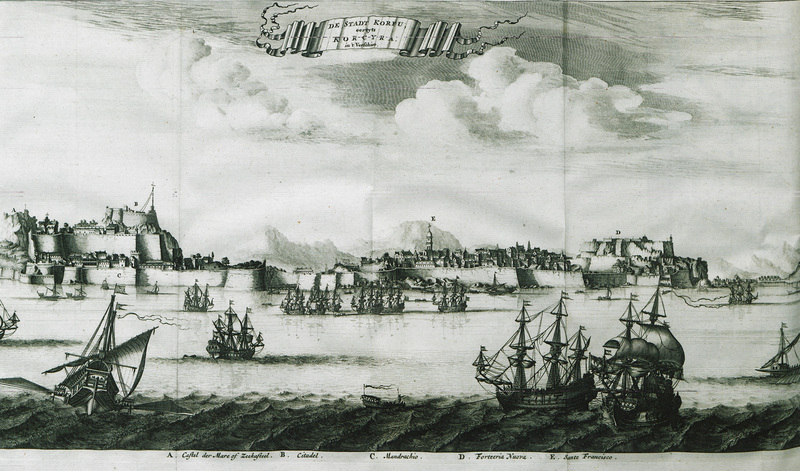 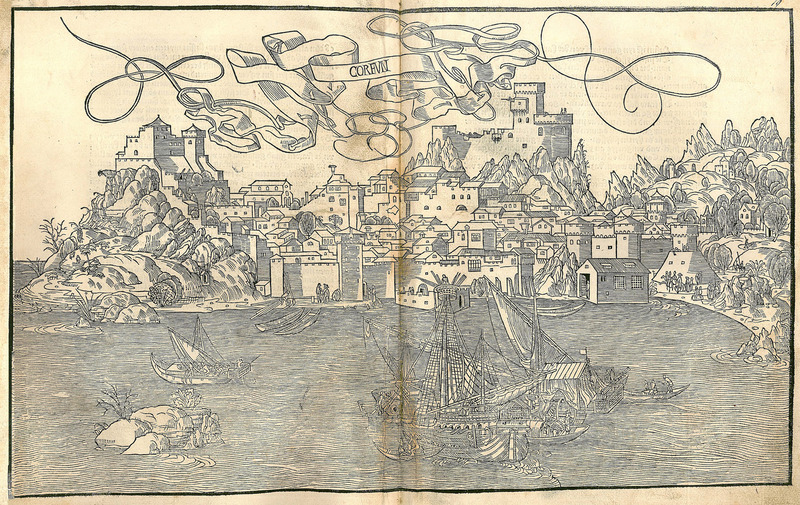 View of Corfu with the old fortress, 1670. 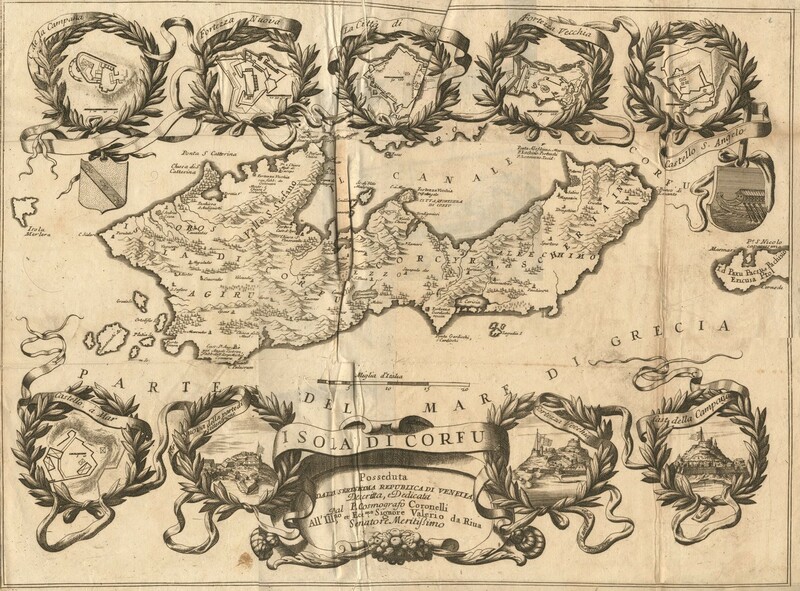 Corfu and the coast of Albania. 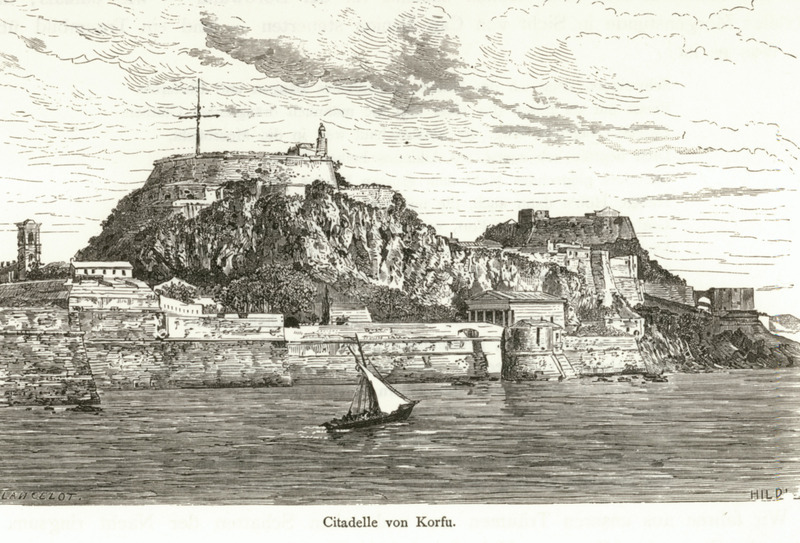 View of the Old Fortress of Corfu from the south. 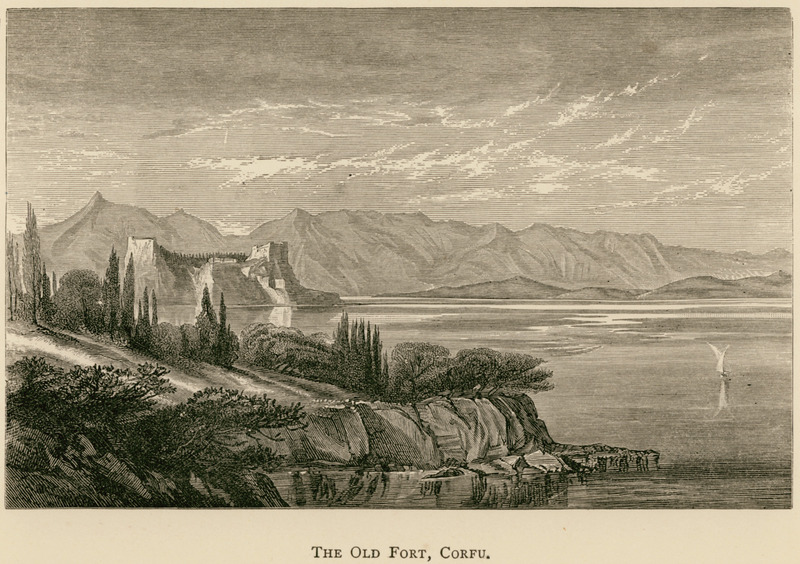 View of the Old Fortress of Corfu from the north. 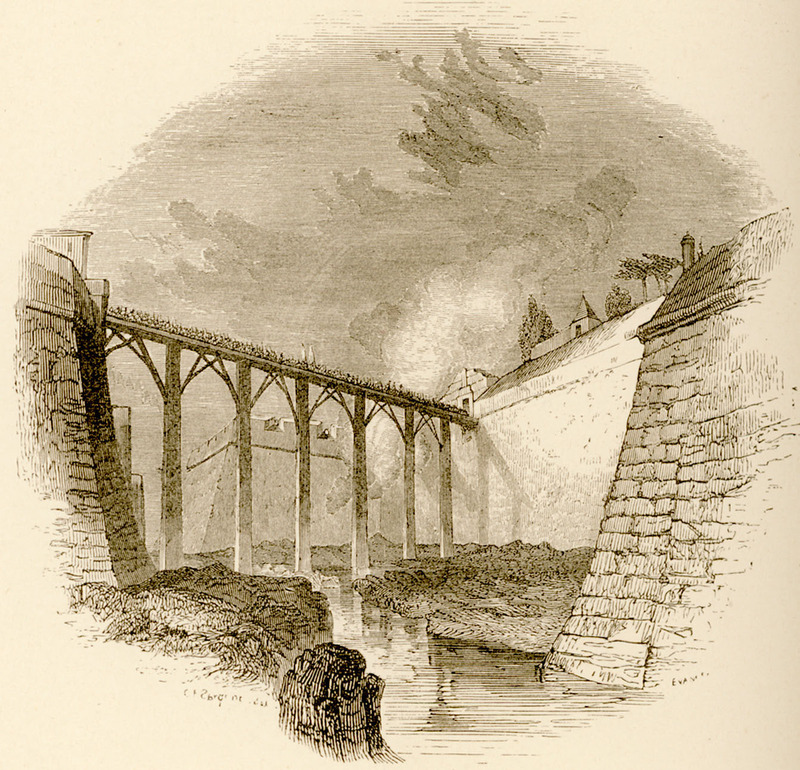 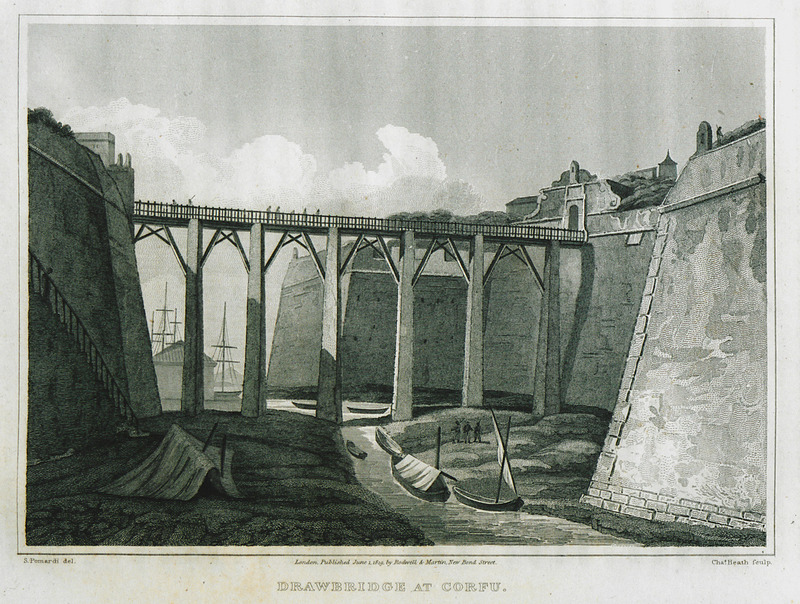 The bridge connecting the Old Castle (Palaiokastro) of Corfu to the city. 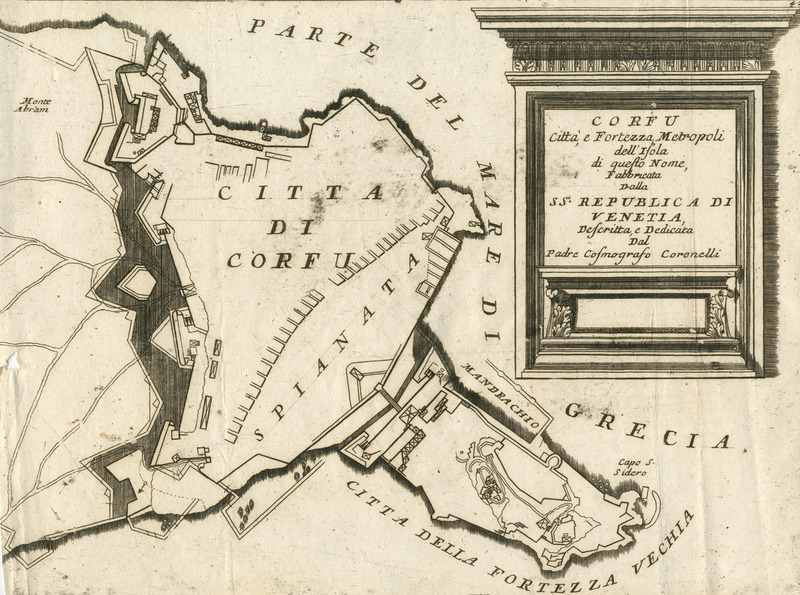 Map of Corfu framed by views and floor plans of the island’s main fortresses. 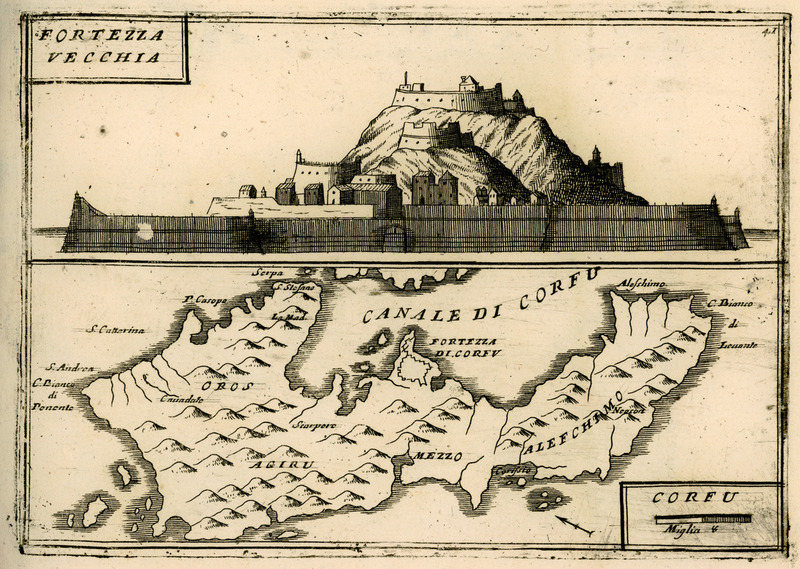 The castle of Corfu. 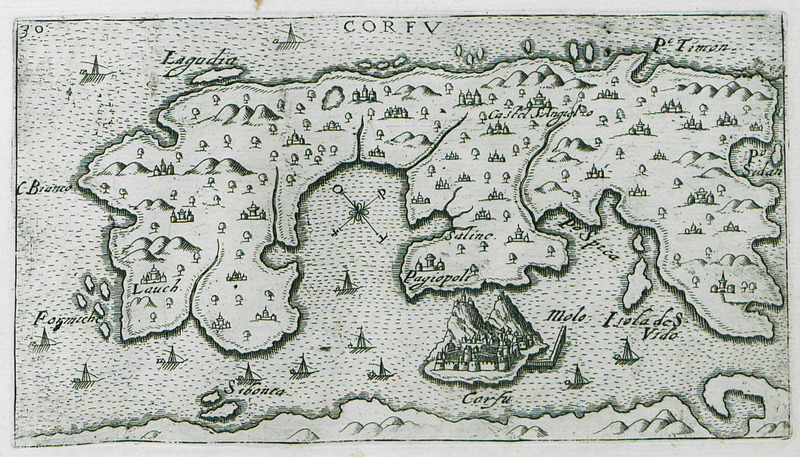 Map of Corfu. 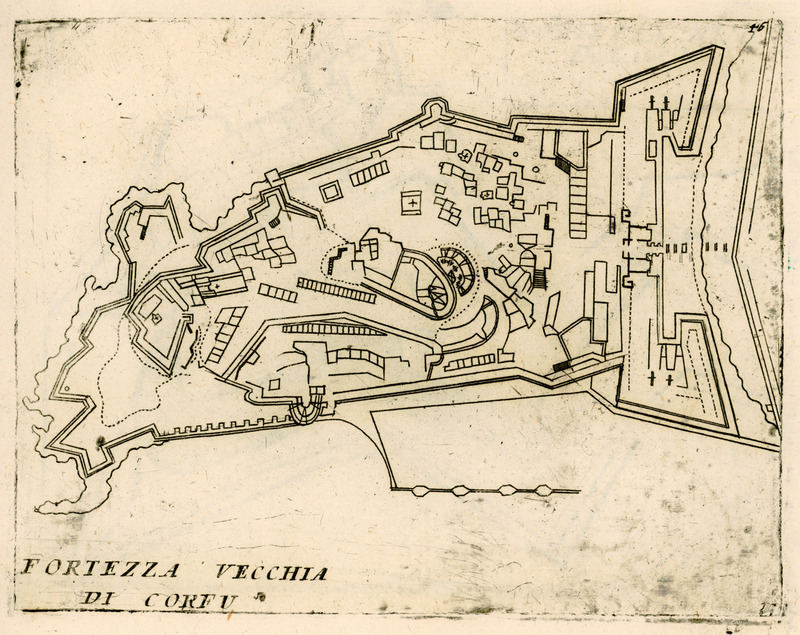 Floor plan of the fortified city of Corfu. 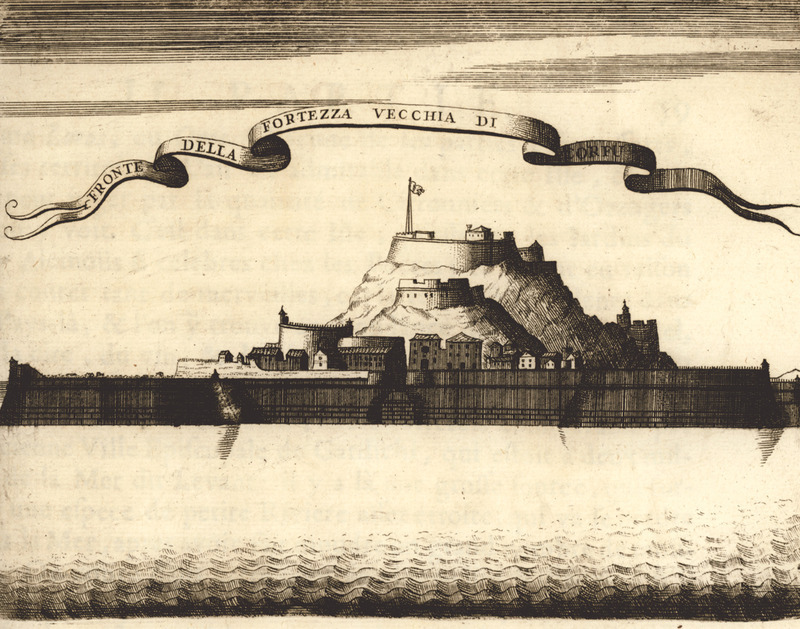 The castle of Corfu from the North. 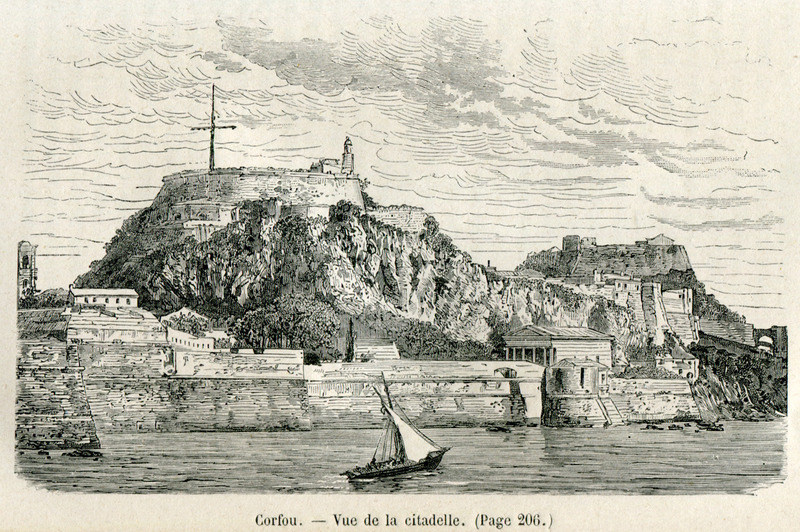 The castle of Corfu from the West. 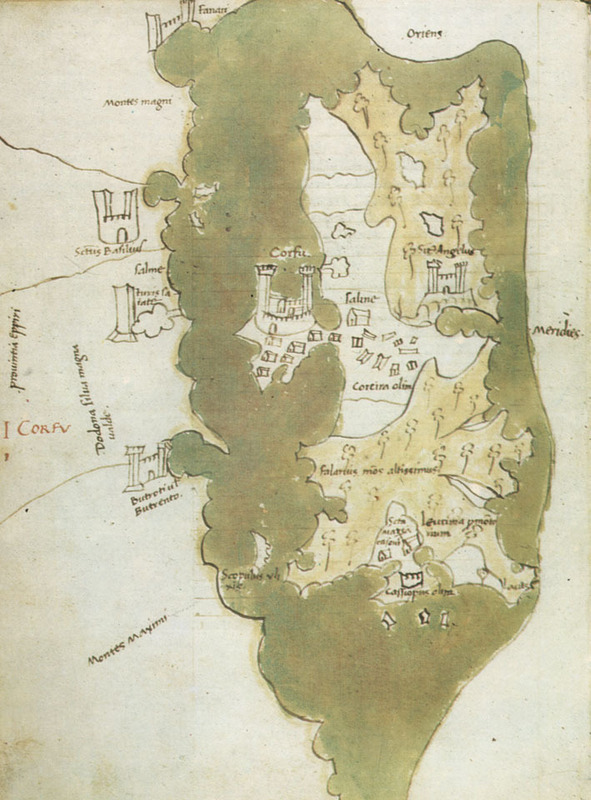 Floor plan of the castle of Corfu. 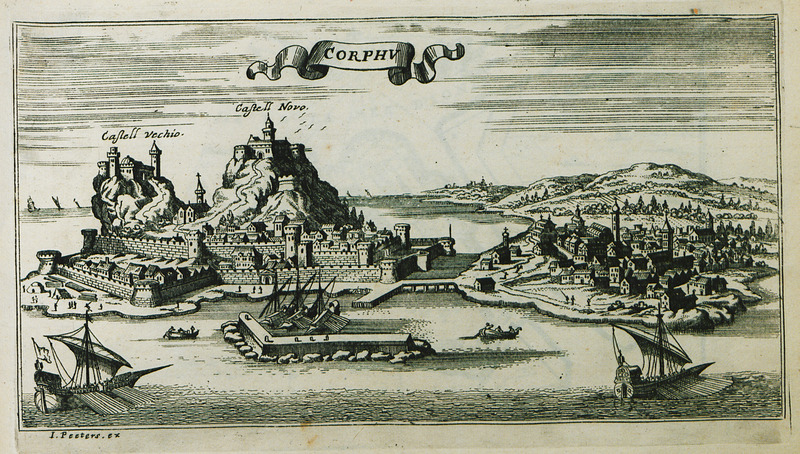 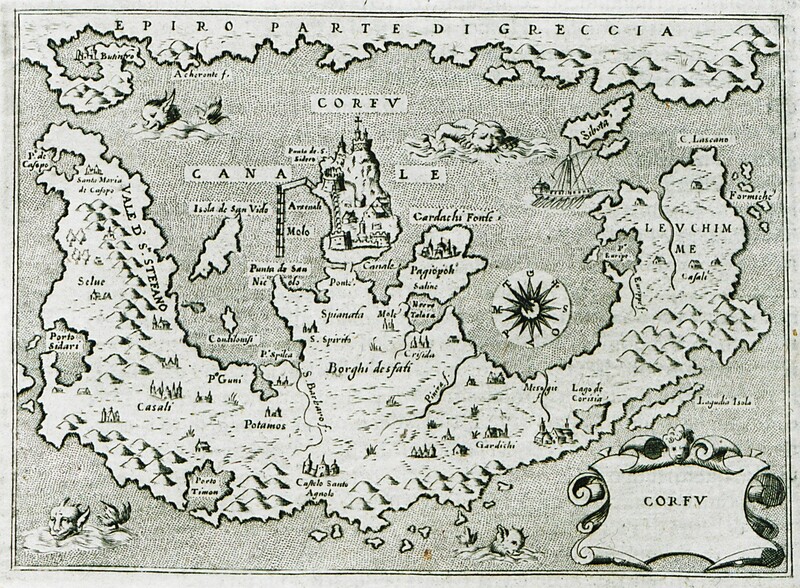 Map of the city of Corfu with Palaio and Neo Frourio. 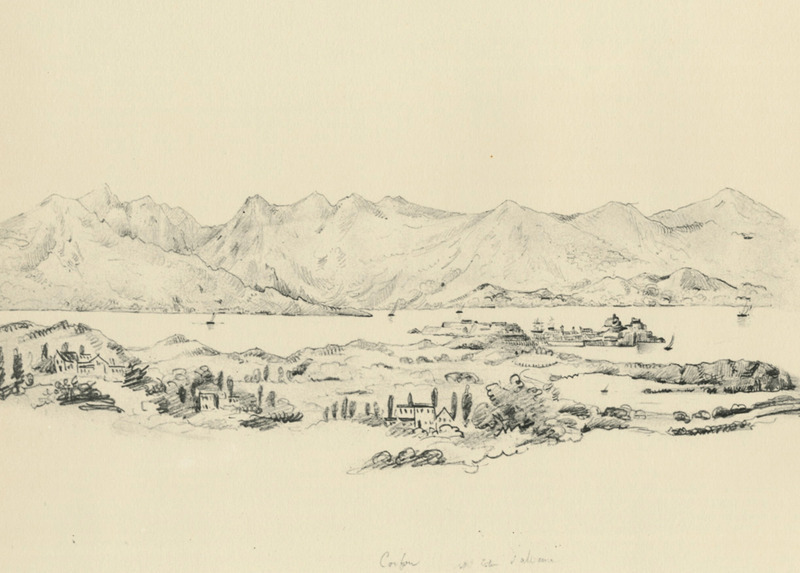 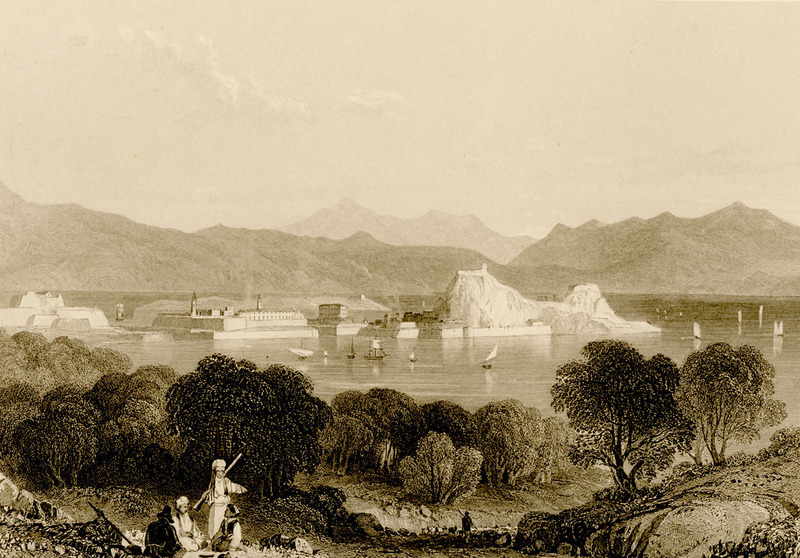 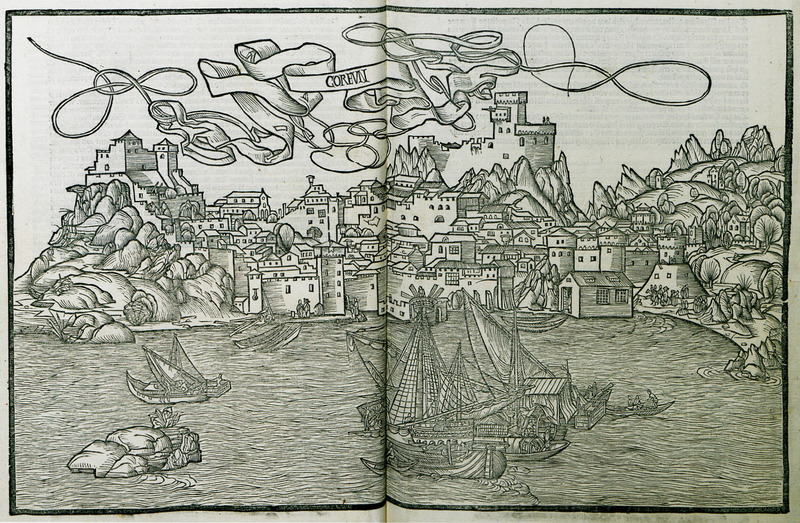 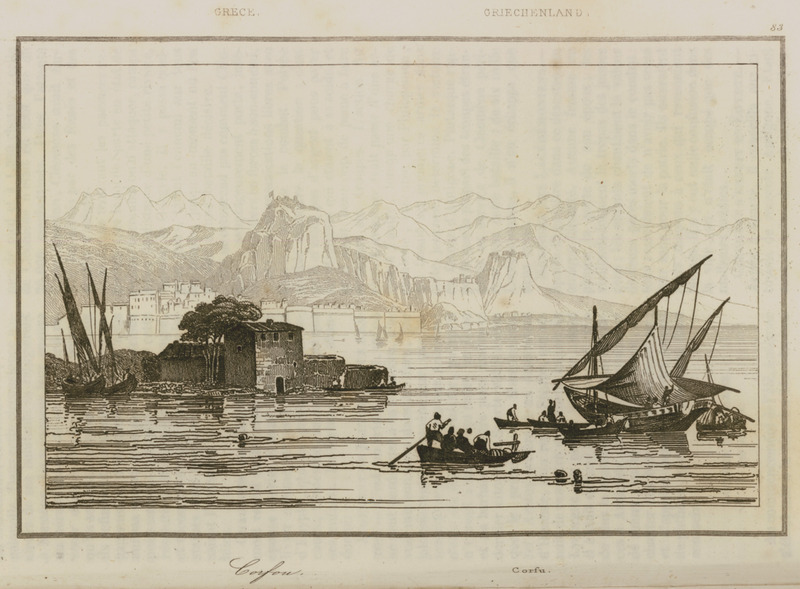 View of the city of Corfu with Palaio and Neo Frourio. 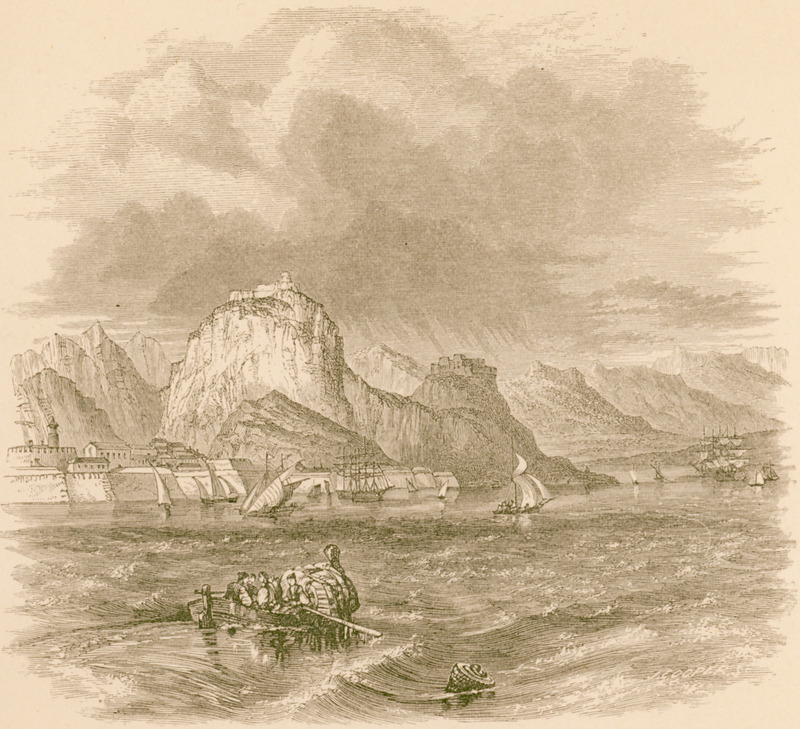 View of the Old fortresses of Corfu. 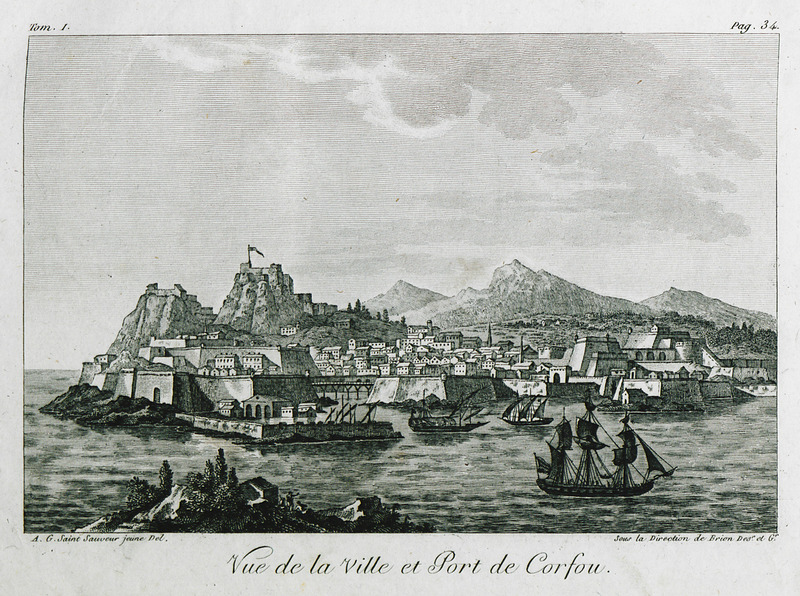 View of the city of Corfu.